Born in 1946 in Drama, Greece. He studied painting and mosaic at the Athens School of Fine Arts (1964-69) and continued his studies in Paris, at the Ecole Nationale Superieure des Beaux Arts (painting, mosaic, lithography) in 1972-79. He taught as a lecturer (1982-84) before being elected as a Professor at the Athens School of Fine Arts in 1984. As well as painting and sculpture, he has worked with architects to realize mosaics on a grand scale in both Paris and Athens. 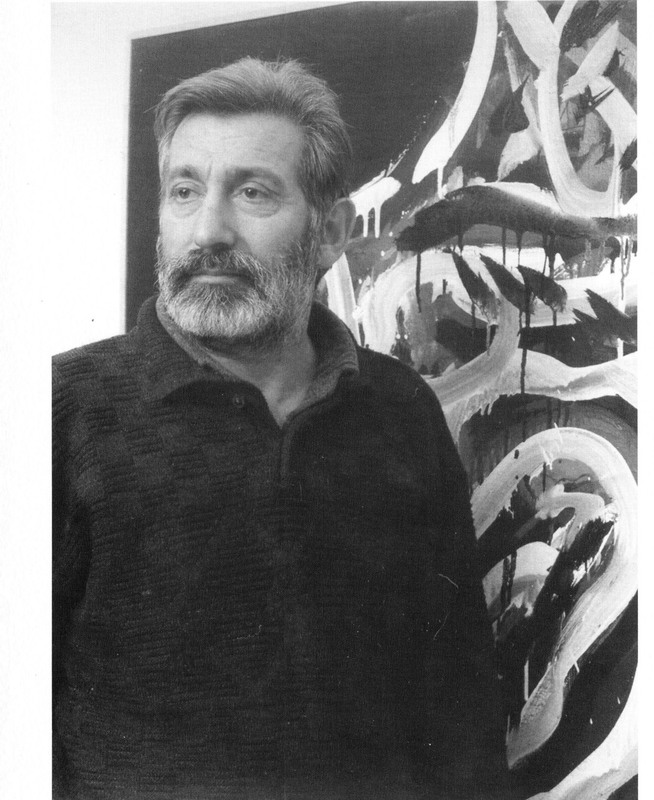 In 1981, 1985 and 1992 he presented sound pieces and music, to accompany his painting. In 1989 he designed an edition of stamps. He has participated in many group exhibitions in Greece and abroad and represented Greece in the 17th BIENNALE in Sao Paolo, in 1983, as well as in EXPO ’92, in Seville 1992. He has had many one man exhibitions such as; Gallery “ORA” Painting-Sketches-Sound (1982), Gallery “ORA” Painting- Installation with music (1985), Gallery “TITANIUM” Painting- Sculpture “IRON” (1989), Gallery “MATI” Katerini (1990), Gallery “AGATHI” ‘”Acrobatics” (1991), Gallery “EKFRASI” Architectural Construction- Music (1992) and Gallery “EKFRASI”- ART ATHINA ’95 Construction- Painting (1995). He also has had many group exhibitions such as; “Odessa” Professors’ work of Athens Fine School of Arts (1985), Council of Europe Brussels (1993), “Gazi” Athens for “Human rights” (1996) and an exhibition in honour of the painter Pantazis in Averof Museum (1996). Is there some form of art you would like to see more of? Do you have any recommendations on making our website better and easier to navigate?